Vitamin D and autism, what’s new? 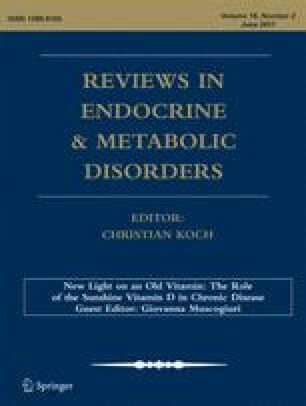 An increasing amount of evidence points to the possibility that gestational and early childhood vitamin D deficiency [25(OH)D < 40 ng/ml] cause some cases of autism. Vitamin D is metabolized into a seco-steroid hormone that regulates about 3% of the 26,000 genes in the coding human genome. It is also a neurosteroid that is active in brain development, having effects on cellular proliferation, differentiation, calcium signaling, neurotrophic and neuroprotective actions; it also appears to have an effect on neurotransmission and synaptic plasticity. Children who are, or who are destined to become, autistic have lower 25(OH)D levels at 3 months of gestation, at birth and at age 8 compared to their unaffected siblings. Two open label trials found high dose vitamin D improves the core symptoms of autism in about 75% of autistic children. A few of the improvements were remarkable. The vitamin D doses used in these children were 300 IU/KG/day up to a maximum of 5000 IU/day (highest final 25(OH)D level reached was 45 ng/ml). The other study used 150,000 IU/month IM as well as 400 IU/day [highest final 25(OH)D level was 52 ng/ml]. These two open label trials were recently confirmed with a randomized controlled trial (RCT) using 300 IU/kg/day with a maximum of 5000 IU/day and resulted in effects similar to the two open label studies. In terms of prevention, a recent small study showed vitamin D supplementation during pregnancy (5000 IU/day) and during infancy and early childhood (1000 IU/day) significantly reduced the expected incidence of autism in mothers who already had one autistic child from 20% to 5%. Vitamin D is safe; for example, over the last 15 years, Poison Control reports there have been approximately 15,000 cases of vitamin D overdose. However only three of these 15,000 people developed clinical toxicity and no one died. Given those facts, practitioners might consider treating autism with 300 IU/kg/day, and seek to prevent autism by supplementing pregnant and lactating women (5000 IU/day) and infants and young children (150 IU/kg/day) checking 25(OH)D levels every 3 months. These doses will increase 25(OH)D blood levels to those recommended by the Endocrine Society. As the American Academy of Pediatrics recommends vitamin D supplementation during infancy and childhood, pediatricians and family practitioners should evaluate the current evidence on autism and vitamin D and act accordingly. JJC is president of the non-profit Vitamin D Council; he receives remuneration from Purity Products. No humans or animals were used in this study. Waldman M, Nicholson S, Adilov N. Does television cause autism? National Bureau of Economic Research Working Group. 12632. 2006. http://www.nber.org/papers/w12632. Accessed 1/19/2017. Risch N, Hoffmann TJ, Anderson M, Croen LA, Grether JK, Windham GC. Familial recurrence of autism spectrum disorder: evaluating genetic and environmental contributions. Am J Psychiatry. 2014;171(11):1206-13. doi: 10.1176/appi.ajp.2014.13101359. Ali A, Cui X, Eyles D. Developmental vitamin D deficiency and autism: putative pathogenic mechanisms. J Steroid Biochem Mol Biol. 2016. doi: 10.1016/j.jsbmb.2016.12.018. Cortelazzo A, De Felice C, Guerranti R, Signorini C, Leoncini S, Zollo G, et al. Expression and oxidative modifications of plasma proteins in autism spectrum disorders: interplay between inflammatory response and lipid peroxidation. Proteomics Clin Appl. 2016;10(11):1103-1112. doi: 10.1002/prca.201500076. Vinkhuyzen AA, Eyles DW, Burne TH, Blanken LM, Kruithof CJ, Verhulst F, et al. Gestational vitamin D deficiency and autism-related traits: the Generation R Study. Mol Psychiatry. 2016. doi: 10.1038/mp.2016.213. Feng J, Shan L, Du L. et al. Clinical improvement following vitamin D3 supplementation in autism Spectrum disorder. Nutr Neurosci. 2016. doi: 10.1080/1028415X.2015.1123847. Saad K, Abdel-Rahman AA, Elserogy YM. Al-Atram AA. Othman HA, et al. Randomized controlled trial of vitamin D supplementation in children with autism spectrum disorder. J Child Psychol Psychiatry: El-Houfey AA. 2016. doi: 10.1111/jcpp.12652.